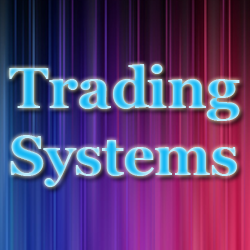 Know about the Trading system !!! A very clean and extremely profitable day trading system that does not use technical indicators of any kind, but only concentrates on reading the price action. It focuses first on the bigger picture to find out which of the buyers and sellers are more powerful at any given time and then uses this information for day trading on smaller time frames with the help of very strong patterns that price makes. This is all you need; this is all this system needs in order to deliver a profit per month . Beginner traders often think that for achieving success in the market, they have to invent something, to be unique, to come up with some complicated trading techniques that no one else has thought of before. This is very wrong. Market is not about uniqueness at all, it is about a very large group of people buying or selling at the same time. The more people that buy or sell at a given level of price, the greater are the chances of success. If you develop a unique strategy and then start to buy or sell according to it, the levels of price where you buy/sell will be overlooked by the majority of traders out there, they will not do the same thing you did because they don’t know your unique system, and they don’t base trading decisions on it. In conclusion, you always have to go with the crowd not against it; the more obvious and well known things are by the people out there, the greater the chances of success. Check Out : 1 ) Nifty Spot Eod Base Trading system back test report. 2) Nifty future Intraday and positional trading system. This is in part what makes this trading system very profitable, it works with very clear, very popular and easily identifiable price patterns. Being very popular, most traders watch them closely and trade them when they finally break. Another important part that makes this system profitable is trade management techniques, knowing how to set and trail manually your stop loss levels in order to obtain the maximum from every trade. All of this being said, let us go deeper into the components of this trading system.